High temperature, smooth, medium plastic, vitreous, white firing, refined body for reduction and oxidation porcelain functional ware. P600 is intended to provide the most porcelainous nature possible in a plastic vitreous cone 10 white body made from North American kaolins (#6 Tile and EPK). It is fluxed with nepheline syenite and has 23% silica and we add some micro-fine bentonite to increase plasticity. It is a legacy product, P700 is has better firing and working properties. P600 is a smooth and very slick fine grained body. Its kaolin-only nature impart a different plastic character than white stonewares (which also contain ball clay). P600 is plastic, but not as plastic as P700 or H570. P600 demands more than the usual attention during drying, especially on difficult shapes (like large flat plates). Time is required to remove all the water since the bentonite and #6 Tile kaolin resist water penetration. If you need to join sections, be sure to follow good practice (i.e. use as much pressure and lateral movement as possible when joining, dry pieces evenly, avoid making ware with an uneven cross section. P600 fired bars. Cone 10R top. Cone 6 to 11 oxidation (upward from bottom). Although P600 is not a true translucent porcelain, it does vitrify to a very pleasant silky surface and does display a measure of translucency on thin pieces. It does have some tiny black specks, not normally big enough to come through glazes (from the Tile #6 kaolin it employs). P600 is not nearly as white and clean as P700. P600 normally reaches zero absorption at cone 10 and 10R. If ware made from it has a shape that is not structurally strong (i.e. a straight sided cylinder, goblets with flared bases, overhung bowls) it is likely to warp, especially if set on kiln shelves that are not flat. P600 has a more pleasant vitreous surface than H570 and fires whiter but it is more prone to warping during firing. P700, on the other hand, is whiter than P600 and even more vitreous. P600 is a variation on the widely used '25% Porcelain' recipe. However it uses only kaolin rather than a kaolin:ball clay mix. It thus has a lower silica content and so crazing may occur if your glaze has a high thermal expansion. The body fires to a high strength, a strength that can be severely compromised if a glaze is under excessive tension. We recommend that you stress-test a piece of ware using a boiling water:ice water test. Ware should be able to survive several two-minute cycles before trouble appears. If you wish to use slip on your ware, make it from a base of P600 for the best possible drying shrinkage/fired shrinkage match. 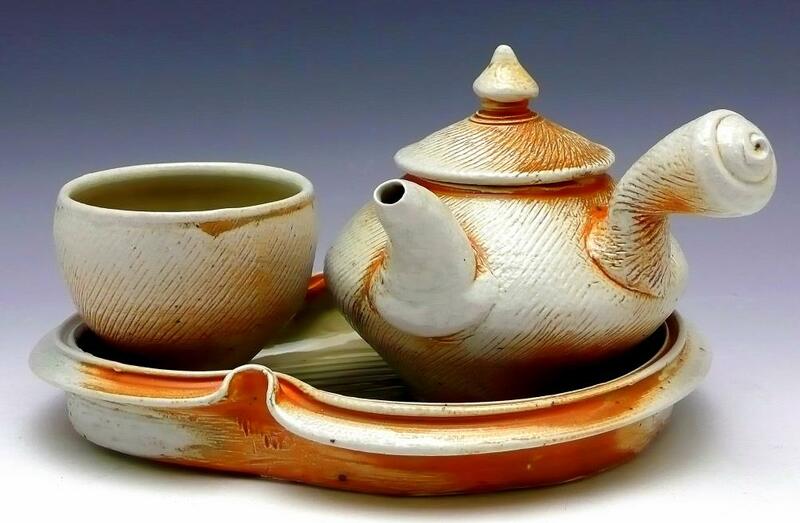 The decline of the ceramic industry in North America has impacted the price, availability and quality-for-ceramics of raw materials from which porcelains are made (especially ball clays and kaolins, which have seen increases in soluble salts, foreign particles and iron specks). In addition, we do not have filter-pressing, pre-mixing and stainless-steel pugging equipment (these would drastically increase prices). While you cannot make Wedgewood-quality ware it will be far whiter and cleaner than our stonewares. Notwithstanding that, be aware that transparent glazes carry a chance of isolated specks using our standard porcelains, it is better to use white and colored glazes on these. If you absolutely need a clean, white, translucent porcelain consider using our premium products, Polar Ice and P700 (they cost more but you get much more). 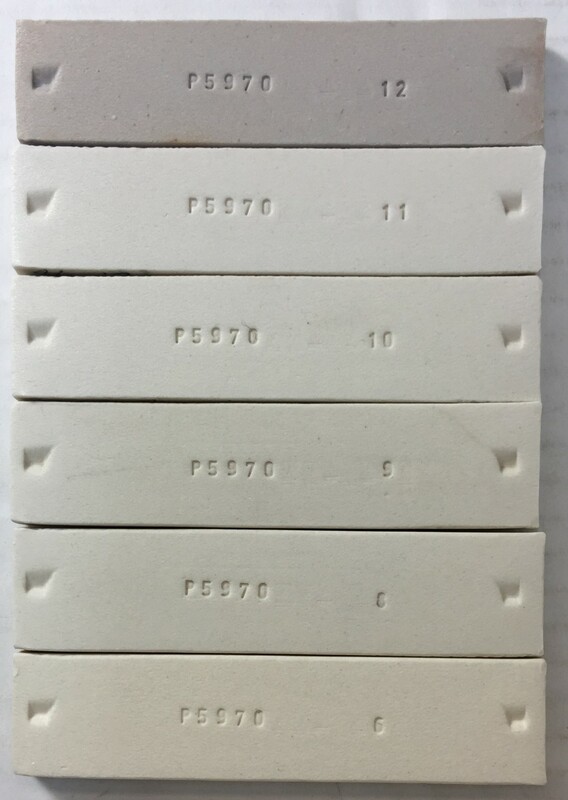 We are also developing engobes for low, middle and high temperature ranges, using these you can apply a porcelain-like surface of almost any color at leather hard stage and completely hide the underlying stoneware. These engobes are so opaque that a white one can completely mask a black body underneath using only one coat. So, if you can master their use (there is lots of documentation here) many new design opportunities will offer themselves. P600 Salt Fired by Jim Etzkorn.